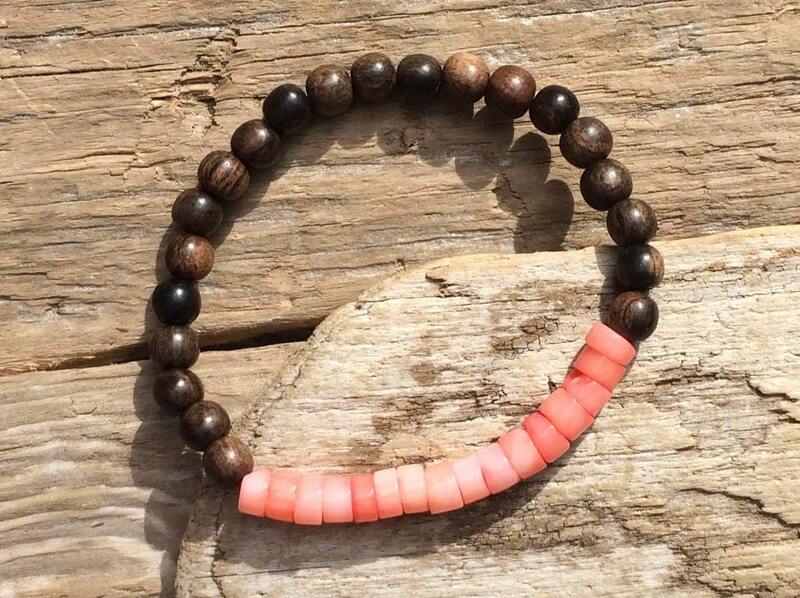 ✻ B E S O S J E W E L R Y BY A M B E R ✻ LOCALLY MADE HEALING BRACELET~ Beautiful genuine pink coral beads finished with round tiger ebony wood beads on elastic. Extremely protective. Relieves stress. Promotes fertility, emotional healing, peace, and intuition. ◇ Made with 6mm natural tiger ebony wood beads. 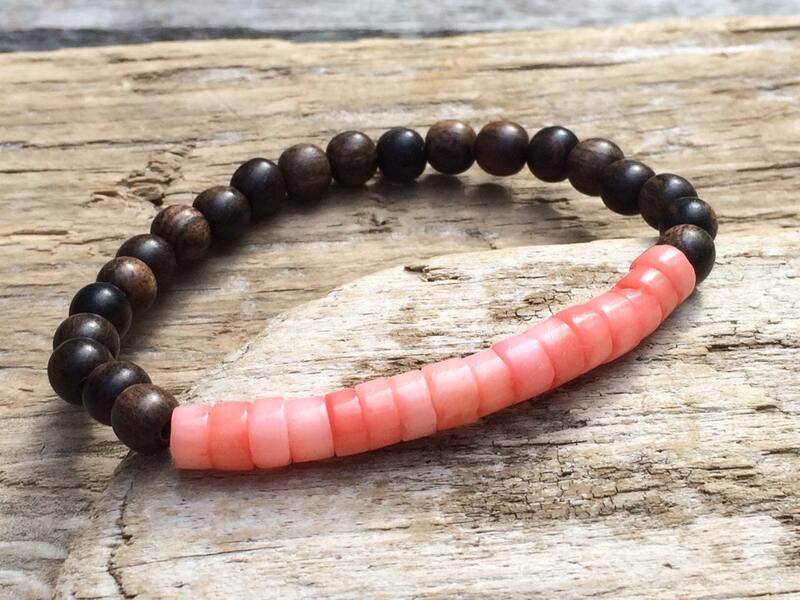 ◇ 16 pink coral beads. ◇ Elastic allows for easy on and off. To measure what size you will need, loosely wrap measuring tape around wrist and pick in inches the size you would like (keep in mind they are stretchy and the average size is 7 inches).